Welcome to Field Martial Arts Academy, where we're working hard to build confidence and self-esteem in all of our students. Martial Arts training offers you a unique opportunity to build your body, mind, and soul at once and we're proud to bring that to Norwood on a daily basis. Whether you're just starting out or you've been training for years, we've got a class for you here. From practical self-defense in our Krav Maga classes to heart pumping workouts in our Fitness Kickboxing, we truly have something for everyone. And with the help of our skilled Kids Martial Arts staff, your child can quickly learn how to grow in a responsible, dependable young adult. Martial Arts training is about more than just the kicks and punches. It's about becoming a more well-rounded human being. Get started today and see the difference. People love discovering this place. Here's what people say after redeeming their Nift gift. The class was wonderful. A lot of work and a lot of fun. Can’t wait to try it again! 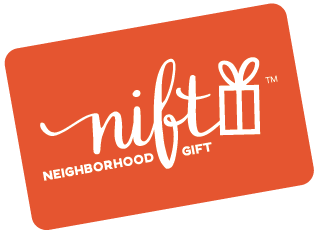 Want a $30 Nift gift card? Try the Nift Gift App. the foot traffic that makes neighborhood businesses thrive. Copyright © 2015-2019 NIFT NETWORKS INC.